SYNOPSIS: Set in a state-run mental institution and, at times, in the minds of the patients, Asylum explores the flip side of sanity. We meet a former pop star who continues to live like she's in a music video, a girl who was harmed by her best friend's boyfriend, a young man who does operations on stuffed animals and himself, a woman who believes she's in the 11th month of a pregnancy, a dessert-obsessed man with a Barbie voodoo doll, a lost boy who just wants to go home, and others. Through a tapestry of monologues that range from off-the-wall to terrifying, the characters search for their refuge, their shelter, their sanctuary...their home. "A most enjoyable and challenging play to put together. Definitely pushed the cast as individuals and an ensemble. Following the show an expected 10 minute talk back with the audience lasted 45 minutes -- Intense! Our principal has asked us to be the cornerstone for our school's Mental Health Week." 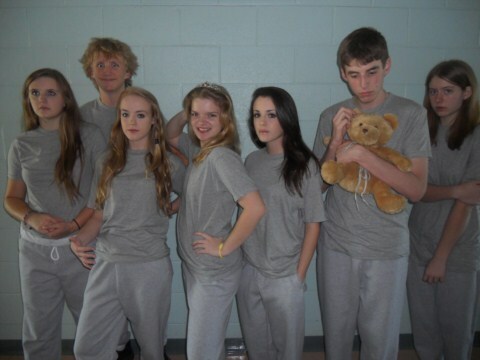 "I highly recommend this dramatic title to all High Schools. 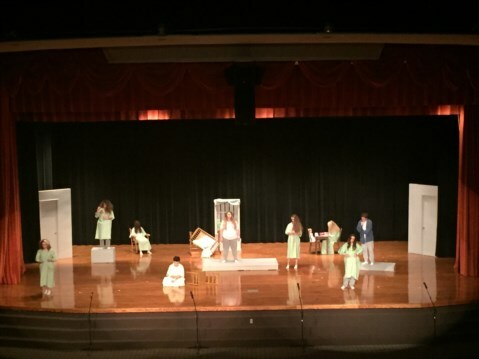 My students really enjoyed working on ASYLUM and we received rave reviews from the audience!" "We are so excited! This play is incredible, and my students are so thrilled to perform it. They wanted to do something to stretch their abilities as actors. I am amazed at what they have been able to do through this play. I've seen so much growth in them as actors and people in general. I think they surprise themselves and each other at every rehearsal." "A gripping and challenging one act play. An excellent balance between male and female roles. Character research is a must. Although written for younger people, we adapted this play very successfully for adult participation." 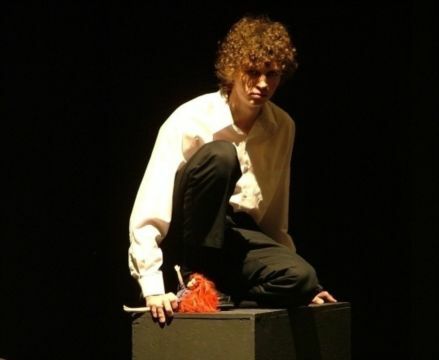 "Asylum is a powerful and disturbing concoction of interwoven monologues. The characters are separated by their mental illnesses and connected by their presence in the asylum. Lacking an effective way to communicate their pain to each other, they convey it clearly to the audience in a mounting series of emotionally wrenching disclosures. The ensemble-style-cast allows good opportunities for youth or group work, and the lack of any suggested sets or business promotes creativity for directors." "It accurately portrays various dispositions and characters that fit my students' personalities."